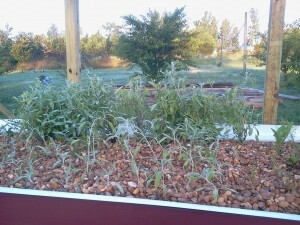 The brief mention of Aquaponics in the recent newsletter sure got some tremendous feedback. It seems like a lot of you are really interested in exploring it further, and many of you are already doing it which is even cooler. We got some amazing photos sent in (see below) and some great feedback about what some of you guys are already doing. 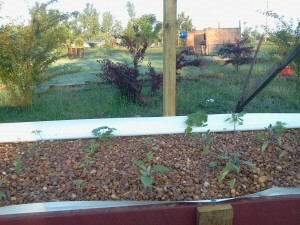 A few people have even introduced a worm composting component to their aquaponics systems! 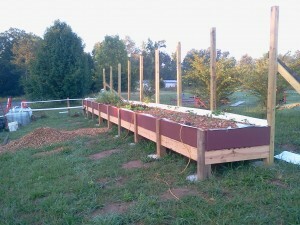 I know most of you are into growing your own plants and veggies, well, a simple Aquaponics setup allows you to grow 10 times the amount of product in the same space you might use in a garden, plus you eliminate all weeding and soil work. And because you’re using a symbiotic relationship with fish (you grow your plants above a container of fish), you don’t need fertilizer. The plants get all their nutrients by filtering the water the fish live in. If that’s not one of the best looking setups I’ve seen. 1) Vertical grow towers, where the fish water is pumped through the top at regular intervals. Apparently he also has his composting worms inside these grow towers. 2) Raft tanks, where the water level remains constant, but is also recirculated at regular intervals. 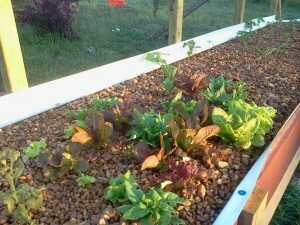 The really awesome thing here is how much produce can be grown in such a small space. If this tickles your fancy, check out the short video here to see a simple setup some guy is creating in his garage using bits and pieces from the hardware store. 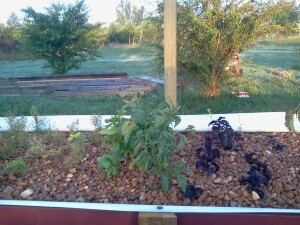 “Glad to see so many people interested in aquaponics. A few years ago , I could hardly get anyone interested in it. Now everyone I talk to wants to know more. My son, Jonathan has started a ministry (aquaponicsfororphans ) to teach others about aquaponics and how to set up and run systems. It lends itself well to urban and third world applications.